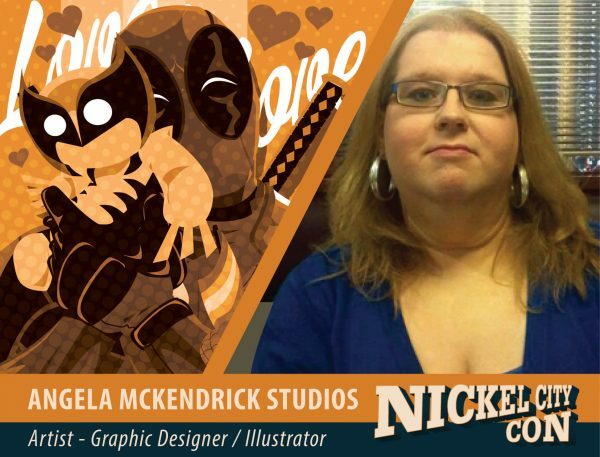 Angela McKendrick is a graphic designer and illustrator who specializes in a Pop Art Propaganda style of art and activism. She has been bringing her unique style of art to comic cons, and art festivals up and down the east coast since 2012. Angela is currently based in the Baltimore area and is available for freelance work.